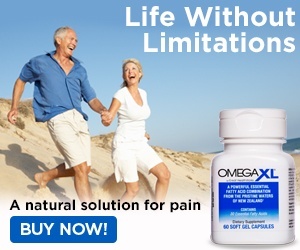 Next review Omega XL has minimized stiffness in knees and provided more flexibility. Jan 17, 2017 We do not have an account under the name that accompanied your complaint. As you indicated that this was done for your parent, it is necessary for us to have his name in order to review the facts. If you wish to address this issue with us, we recommend calling the service professionals in our Customer Advocacy Group at 1-800-607-0419. You people are a rip off yiu charged my dad $49.99 and never shipped the product. Your customer service called him numerous times stressing him iut asking if he was interested in the product. Yeck he hasnt received it. Yiu charged hus account in December. My dad had a stroke May 18, 2016, ny mom passed May 19, 2016, dad had a cervical fusion neck surgery August 12, 1016 ,so he did not need the extra pressue from yiu people calling, and refusimg to send the product. You have celebritirs B.
Underwoo, and Bishop Martin on yiur show, but do they read the complaints. I will definitely contact the Attorney General office , and the BBB. I never ordered this for myself,but rrad yiur reviews and few years ago. Review #991309 is a subjective opinion of User991309.